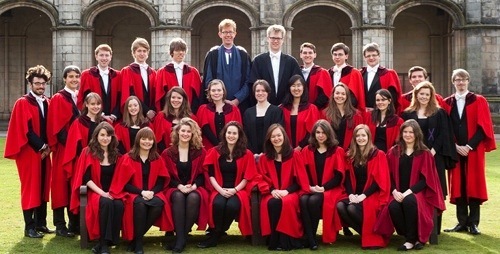 Professionally directed, St Salvator’s Chapel Choir is the flagship choir of the University. It sings a repertoire spanning the fifteenth century to the present day. The choir’s raison d’être is to sing services in the St Salvator’s Chapel. It also sings at important University occasions, including graduation ceremonies. Highlights of the choir’s recent activities include performing for the Duke and Duchess of Cambridge; touring Cyprus, Germany, Italy and Spain; recording two CDs for commercial release; and broadcasting for BBC Radio and TV. Under the direction of Tom Wilkinson, their programme on Saturday will consist of church choral music and will include the Messe Solennelle by Vierne.